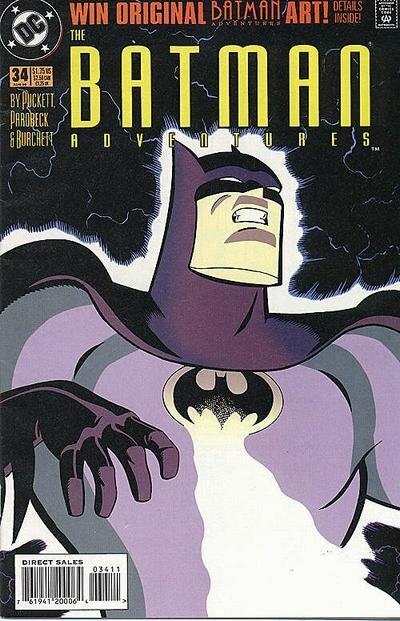 Click Here To See Batman Adventures #34 Comic Book! WOW! Not many times will you find a Batman cover for sale by the much sought after late Mike Parobeck, from the story titled: "In Memoriam!" This AWESOME cover Features a huge image of Batman screaming in a thunderstorm! 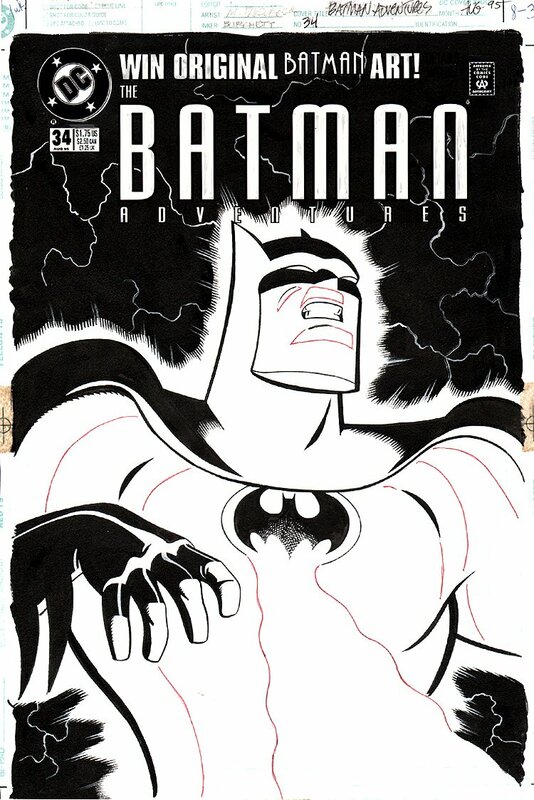 Don't miss out on this chance to own a Mike Parobeck BATMAN COVER! Compare this nice cover art to the published comic book in the red link above, COOL!